The body lay, sprawled awkwardly, partway down the coulee, right before the slope turned sheer and plunged to the creek far below. The night had hidden it, but the arrival of dawn made its presence obvious. There were several sets of footprints from where the body lay to the road, clearly marked in the muddy spring ground. Even as the new day’s light revealed these details, the first flakes of snow began to fall, wet and heavy. For a time the earth resisted their intrusion, but eventually the storm proved too much and the ground turned white, covering over the tracks. Wayne Johnstone noticed the body later that morning. By then the snow had covered all but the person’s red jacket, which stood out vividly against the backdrop of white snow and the drab browns and greys of late March on the Canadian prairies. There was no green yet anywhere, not even any buds on the trees, spring only tentatively taking hold. The arrival of the storm promised that winter would not yet go quietly. Even still he almost missed it, distracted by his worry about the storm’s arrival. He had one hundred fifty cows still to calve and they were coming in bunches now. If the storm was as big as promised—and it looked to be, the snow descending so thickly he sometimes had trouble making out the highway—then he would likely lose some calves today. There was little he could do about it, but it still worked at his thoughts, as he drove the tractor into the far pen where he turned out the cows who had already calved. Many were already tucked into the slat-fenced shelter near the gate, but they followed him deeper into the pen, heads low against the snow, waiting for the feed to emerge from the tub grinder. It was as he reached the end of the first row of feed, and turned the tractor around to start the second, that he caught sight of the red jacket. Thinking it was something that had come off a passing car, he drove to the edge of the pen by the lip of the slope to see what it might be. Something in him recognized just what and who it was immediately, and he sat in the tractor, his hands clutching the steering wheel, feeling very cold. After a time he clambered down the hillside, now slick with the accumulating snow, to confirm his suspicions. He stood looking down at her, the snow gathering on his shoulders and hat, before he managed to gather himself and return to the tractor. He reached into his pocket for his cell phone to call Diane, but stopped himself. Somehow it didn’t seem right announcing this to her over the phone. He got back into the tractor and finished up with the last row for the cattle, before returning to the house. He left the tractor running and went inside. Diane was in the kitchen lingering over her last cup of coffee. He called her from the entryway and she ducked her head around the corner to look at him, a frown on her face, knowing there had to be something wrong for him to have come in so soon after leaving. “I just found Kristi Taid’s body in the coulee,” he said after a moment’s hesitation. Saying the words made it feel much more real. Wayne nodded, realizing he had never in his life called the emergency line before. He stared at the flip phone in his hands, pulling it open gingerly, still unsure of the device. Diane had insisted he get one in case of emergencies, but the phone did not feel comfortable in his hands. Using it was still not intuitive. Briefly, he found himself wondering if he needed to dial a different emergency number for cell phones only, before dismissing that as ridiculous. Now he dialed and waited, listening to the ring. “I’m going to call Leonard,” Diane said. “I have to,” Diane said. Wayne knew better than to argue. He talked with the operator, telling what he had seen, and was told the constable would be on his way shortly. The detachment was in Loverna, Wayne knew, half an hour away. Probably more in the snow. He had time enough to get a few of the chores done before this new storm descended upon him, and he headed out the door to do so. 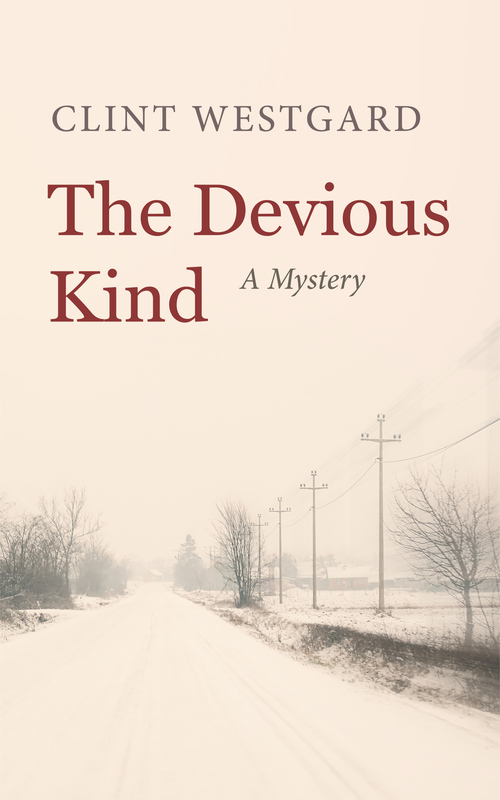 The Devious Kind will be available January 31, 2017.